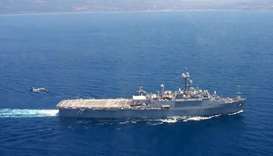 An Italian prosecutor has ordered a probe into the sinking of a migrant boat in the Mediterranean following claims that a US navy ship which rescued 42 survivors may have ignored them at first. 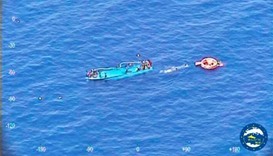 At least five migrants died and an unknown number were feared missing after their boat capsized off western Libya on Monday, Libyan coastguard officials and a charity said. The EU urged Italy on Thursday to allow more time to discuss its threat to suddenly stop vessels from other countries disembarking migrants in Italian ports, after rescuing them in the Mediterranean. 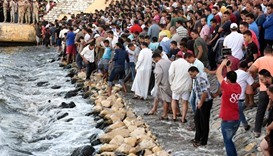 Twenty-five bodies were recovered on Tuesday from a boat that sank in Mediterranean waters off Egypt last week with hundreds of migrants aboard, raising the confirmed death toll to 194, rescue workers said. A migrant boat capsized in the Mediterranean on Thursday and about 100 of its passengers have been rescued while the number of dead is unknown, officials said.